Interview w/ The English Beat; Playing @ The State Theatre 4/28! The Beat. 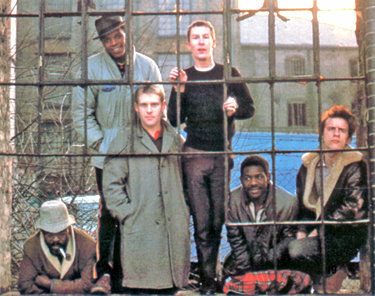 Here in the states known as The English Beat. The band has been wandering the planet for over three decades, in front of crowds ranging from huge festivals to intimate bars. Thirty years is nearly unheard of in the music industry and with that time change, came changes in the bands music. The band still holds onto a few things from its original days though: its fans. “We’ve got quite a few facebook buddies,” he said. Through all his time as a touring artist, his most memorable moment wasn’t one where he was on stage, but when he was on the side, watching another artist: The Clash. “Not realizing it was the last show The Clash would ever do,” Wakeling said of his experience watching his musical heroes. Recently, The Beat has come off a tour in Australia and even after thirty years of touring, it was the first time the band had toured in Australia. Wakeling also said he prefers to travel to warm areas if possible. “I’ve got my eyes set on the Caribbean,” he said. Last year, The Beat released a set of old material as well as unreleased material for fans to purchase. “I was thrilled with (the box set),” he said. The English Beat is scheduled to play at The Loft on Thursday, April 25th.